3D printers are doing wonders these days. Now meet the worlds first car created by a 3D printer! The Urbee Hybrid was developed by Kor Ecologic and Stratasys and was created by a 3D printer using an additive manufacturing process. The engineers used the additive manufacturing process which involves adding layers of printed material until the final product was formed. What is interesting is that the engineers claim that not just the entire exterior, but even the glass of the car was created by the 3D printer. 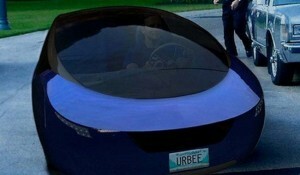 Below is the video of the Urbee Hybrid car in action. The car can give you around 200MPG on highway or about 100MPG in town. It can be recharged over an electric outlet and also comes with a wind powered charger. I guess all it needs is a nice set of airbags, leather seats, windows, doors, a music system, air conditioner, heater…. The list goes on. It won’t be long before car manufacturers start printing cars. Next RockMelt – The new Social Browser!